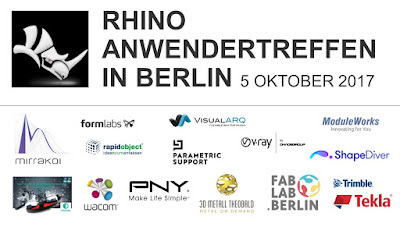 McNeel Europe is organizing a Rhino User Meeting at the UDK Berlin on October 5, 2017. Come join us and learn more about state-of-the-art Digital Design and Fabrication. Get inspiration from industry experts in different fields: Architecture, Engineering, Product Design, Virtual and Augmented Reality, Visualization, 3D Printing, Robotic Milling, Environmental Analysis, and much more!